FREE – Two left…You are welcome to join us learning about essential oils. Thursday Nov. 15th and 29th. at Summers Chiropractic & Wellness Center. 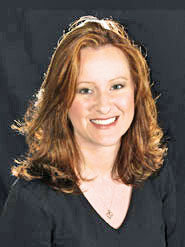 Dr. Cindy Summers has been a licensed Chiropractor since 2001 and has been in the natural health field for 14 years. She first started as a Neuromuscular Therapist in 2004, and then became interested in advanced clinical nutrition and muscle testing. Dr. Cindy Summers has been freeing people from pain since 2001 in her clinic in North Hollywood, CA. As a Chiropractor with 14 years of natural healing experience, Dr. Summers is committed to promoting the health and well being of her patients. Dr. Summers uses a “whole person approach” when taking care of her patients. By combining the very best hands-on-technique, core strengthening procedures, and providing the newest and best natural vitamins and mineral supplements on the market today, Dr. Summers is able to help you to accelerate and/or maintain your journey to good health. Seeing Dr. Summers was the best decision I could ever have made!! “Before I found Dr. Summers I was beginning to believe that the pain I was experienceing was irreversible. Exactly two years prior I had what appeared to be a minor accident while walking a 90lb. dog; the dog lurched and twisted me in order to try and follow another dog. I thought little of it, but within an hour i was in excrciating pain. A friend took me to his osteopath, who successfully eliminated the severe pain; however, for the next two years I, off and on, had aches and pain and weakness in my shoulder areas. I sought a physical therapist, but nothing seemed to correct the problem. How many times have you gone to the doctor and had so many questions about your health, but either you forgot them when you got there or your doctor did not have enough time to answer them? Well now is your chance to get all of your questions answered. Oct. 10th: With this being our first class we are not only going to do “Ask the Doc”, but we are also going to give you a sneak preview of our upcoming aromatherapy class. Aromatherapy? No it’s not just smelly stuff. It can actually prevent illness, reduce stress, fight infection and so much more. Oct. 24th: Ask the Doctor and learn about Hypnotherapy & Neuro Linguistic Programing (NLP). Stop chasing your tail! Nov. 7th: Ask the Doctor and learn about Healthy Cooking! You are what you eat. Don’t waste money on expensive, organic food if you are going to destroy it before you eat it! Nov. 28th: Ask the Doctor and learn about the ancient healing art of Acupuncture and Traditional Chinese Medicine. All classes will start at 6:30pm. You may park in the parking lot. If the door is locked, we will “buzz” you in. Refreshments will be served. Be sure to bring a friend!